I'd be honored to custom design your bridal jewelry, or you can choose from several available bridal styles. 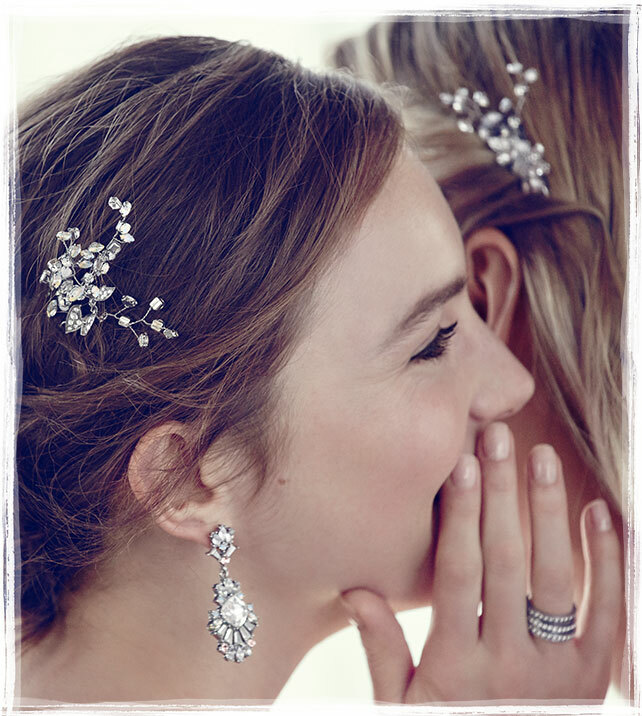 I've partnered with Chloe & Isabel's Bridal Shop to help you SHINE on your wedding day. Their bridal line has been featured in Bridal Guide, Brides, and The Oprah Magazine. Sign up below to receive my complimentary Bridal Jewelry Inspiration Board or book a free design consultation here. Sign up to receive Bridal Inspiration, bridesmaid gift ideas, and learn about my boutique service perks! Thank you! Your Bridal Jewelry Inspiration Board is on its way to your inbox!